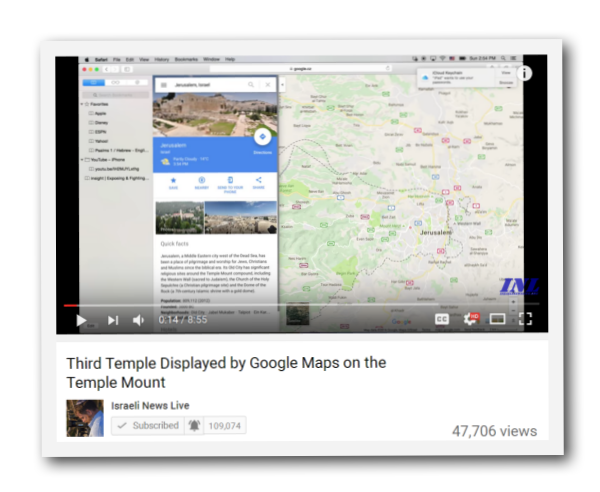 Steven Ben-Nun From Israeli News Live (Youtube) discovered pictures of the future 3rd temple while searching through google maps. In the video he discusses just how he found the temple pictures. Below we screen shot some of the pictures of his video. Google Maps must know something that most of us have only speculated about. It seems rather opportunistic that the UN is now calling for a vote just before Obama leaves office. I would say that this would then empower the 70 nations to turn against Israel. Russia seemingly no different than the US on the stand for allowing the UN to force their agenda on Israel. Prime Minister Benjamin Netanyahu has taken a very prophetic stand against the United Nation, against The US president Barak Obama. But what the Prime Minister does not know is that Daniel saw he would take this stand and as a result it will bring Israel’s oldest enemy in with a whirlwind fulfilling prophecies in Micah and Obadiah even that of Exodus the return of Israel grand Prophet Moses. Next article16 FUTURE ( Prophetic ) MAPS- Which Ones Are From God? Steven Ben-Nun From Israeli News Live (Youtube) Steven's Websites- Israeli News Live Steven's Websites- Israel Returns Donate to them here Israeli News Live examines world headlines and their relevancy to Biblical Prophecy. Many people want to know, who is the Antichrist, when will the Gog and Magog war begin, is Russia a key player?What about Israel, Is Prime Minister Netanyahu for The Building of the Third Temple, why did Shimon Peres sign a covenant with the Vatican, what will be the "Seven Year Covenant" that Daniel speaks about and when will Armageddon begin? Ministry, Education & Beliefs Steven speaks internationally as an; Author, Biblical and Hebraic Scholar, Advocate for Israel, and Biblical Equality. He is an author and journalist regarding political and Biblical climate effecting Israel. He believes that Yeshua (Jesus Christ) is the Messiah that G-d promised to Israel the redeemer of the World. With a passion for his people to know the identity of The Messiah Steven dedicated his life to the study of the Hebrew language privately for over 25 years and academically. Attended Pensacola Christian College and completed the Hebrew Biblical course and also study at an Ulpan in Tel-Aviv, Israel in 2004. While living in Israel he narrowly escaped a suicide bomber on September 22, 2004. The miraculous events that have surrounded his life shape the message that he passionately speaks about publicly. Author of two books; Israel, Are they still God’s People? And Yam Suph, Israel’s Final Exodus. 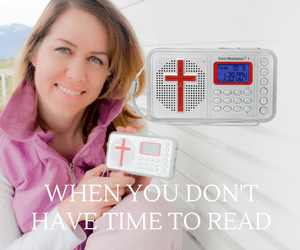 As an author and speaker Steven has interviewed with renowned scholar Dr. Chuck Missler of Konia Institute, and Mark Beltz with El Shaddai Ministries. Steven’s work and revelations have caught the attention of many trusted names worldwide and as well his work has been considered for a documentary on the History Channel: Steven also Study Biblical Hebrew Pensacola Christian University as well at an Ulpan in Israel.